That has been building up all week. Today’s Polski Piątek segment harkens back to my childhood, with some tales of old times woven in. 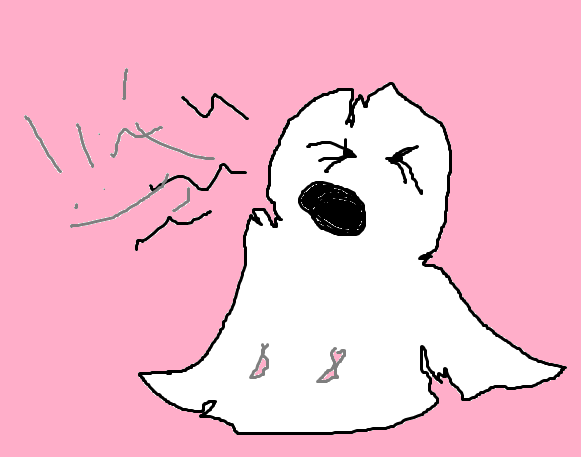 An old torn-bed sheet screaming ghost. Duh. In continuing with my mildly goofy, completely-off-the-wall mood, today’s Polish idiom just makes me giggle. Hence the reason I chose it. In English when you someone is very important or highly regarded you say that they are the big cheese. In Polish however they are a gruba ryba, literally: a fat fish. I don’t know about you, but if someone called me a fat fish, I would be rightly cheesed off. This having been the week of Halloween… and the candy binge afterwards, has led to an opening of the flood gates. Start with some chocolate and before you know it you are eating week old pizza and craving cake. Therefore today’s idiom is about cake! Yay! I do not understand what is easy about a roll with butter. Or a slice of cake for that matter. Both involve a fair bit of effort, from spreading the butter to cutting the cake. Or maybe I am just that lazy? What is so easy about this?! Yeah, like I am going to post a picture of a stomach/drill/hole. Gross. This week has proven to be the most fun week I have had with the Polish language. In interpreter school we covered how to translate obscenities, insults, swear words etc… Fun yes, but also difficult. My phrase that I had to translate was “piss up a flagpole” to which I still cannot find an entirely proper equivalent, so I had just said something akin to “piss off”. Anyways, there was much giggling on my part in class. Having added the above image (again, from Google Images)… it hit me, this Polski Piątek segment, of one little lesson plus a dorky picture, it bears an odd resemblance to the elementarz (the standard Polish textbook we all had to learn from). Every Friday I will instead bring you a wonderful Polish idiom, it’s english translation and then what the english (note: not English) equivalent is. And seeing as it is still the weekend, I can make up for it. What were they thinking when they came up with this idiom? 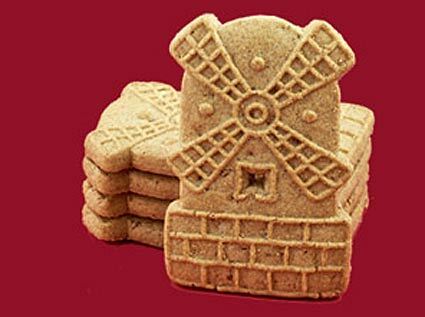 I know that (other than the above example) gingerbread has nothing to do with windmills… but how did someone even come up two such arbitrary words?! And then put them together like that? And this is just a taste of what is to come. Trust me, I have some even better ones up my sleeve.